Beretta is Italian and you know how they like to design things in Italy, hot and sleek and that is what you think of when you see this pistol! 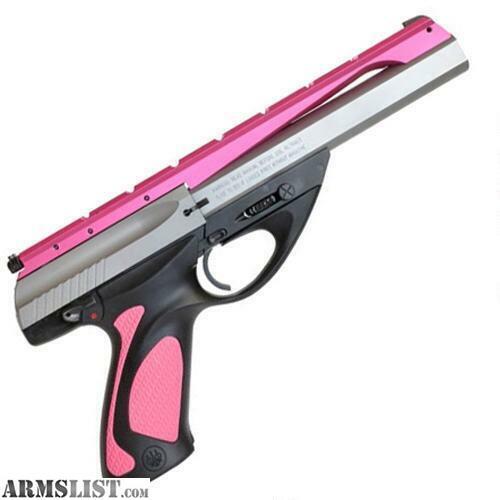 Finally your favorite target pistol is available in pink for the ladies! The Beretta Model U22 Neos Semi Auto Handgun is a wonderful firearm for target practicing. This pistol is chambered in .22 Long Rifle and has a 6″ barrel. The magazine holds 10 rounds of ammunition and the frame is made of polymer. This handgun comes in black and pink finish.